There are some things you really take for granted before you have children - from going out at a moment's notice to sleep but most of all for me, it's the food shop. Gone are the days that I can fly into the supermarket to pick up exactly what I need for the dinner we want that night, turned into the military style mission of marching two kids around whilst searching through my mush of a brain for anything on the list that I've probably left on the fridge. So anything that makes this tedious task even just a little easier is a winner with me and that's why we use Tesco's Scan As You Shop service. Taking any toddler shopping can result in an array of ridiculous situations but taking a seriously independent almost-four-year-old can end in some pretty sassy behaviour so including her within the shop has always been the way to go for us. If I had managed to remember the list, she would hold that for me (and would let us all know the importance of her role) but now, Ivy is absolutely fab at doing the actual scanning for me which keeps her feeling involved and her little busy brain away from asking for things we absolutely do not need. Speaking of which - easily our favourite feature of the Scan As You Shop is the fact it adds up your shopping for you as you go around the store, so it becomes much easier to keep within a budget and you are much less likely to go astray. However, if you do fancy adding a few 'essentials' (from the biscuit aisle) it's even easier to justify any naughties as the handheld device also clearly displays how much you have already saved on your shop. As with any parental task, time saving is key - doesn't it make total sense to pack your shopping directly into your bags rather than into the trolley and out again and then into the bag? There's no rushed packing post-payment so less is likely to get crushed (or mixed in with the cleaning products), let alone the fact you cannot get to the end of the shop, only to realise you've left your bags in the boot of the car. And at the end of it all there is simply nothing worse than making the stressful of decision of deciding which checkout looks like it's moving the fastest. 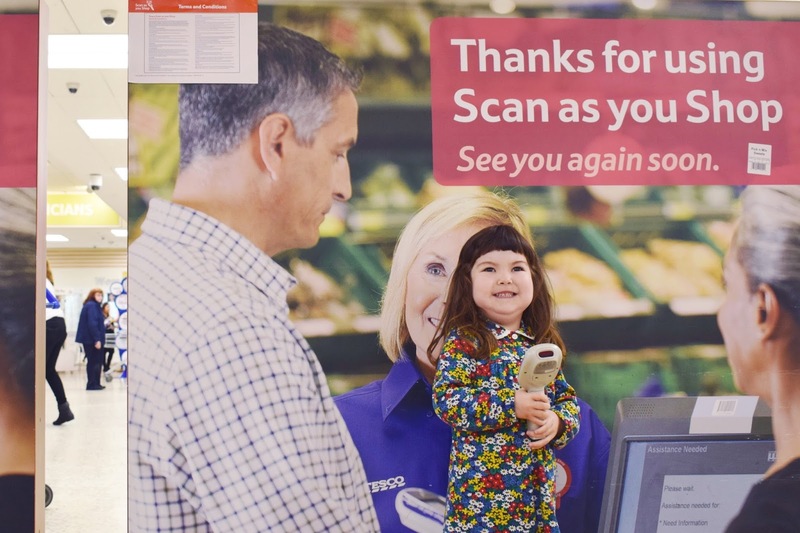 The Scan As You Shop customers get their very own tills that act just like the self service. You simply scan the till to transfer your shop over and then pay - easy peasy. And best of all, as you have to scan your clubcard to get your scanner at the beginning of the whole process, you have one less thing to remember at the end of the shop and you still collect those all important clubcard points to pay for life's more luxurious trips out.